I love waffles! Whether Liege or in its simple drizzled-with-maple syrup-form with that crunchy outside and soft inside texture. 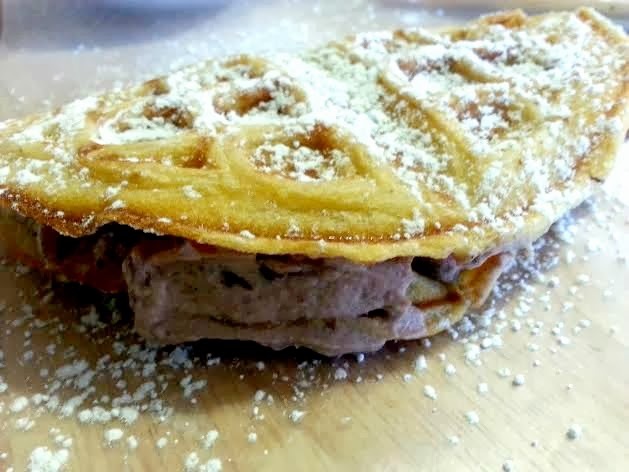 But thanks to Bruxie for introducing that scrumptious waffle sandwich experience. 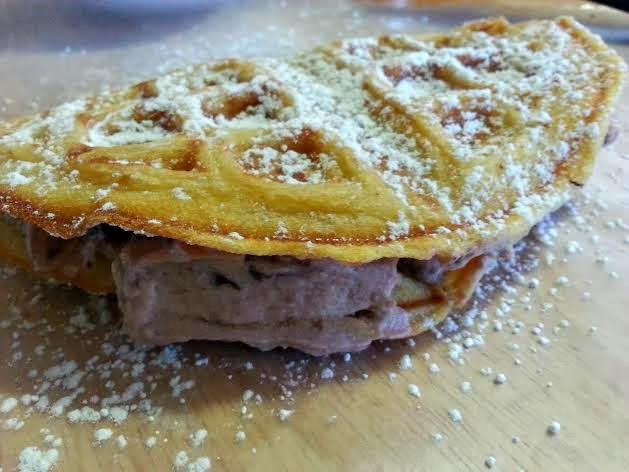 Now waffles are more enjoyable as we can do sweet and savory as we prefer. I have made my own version but there are still some flavors I want to replicate. The timing can't be more perfect as we were on anything-red beans phase this month so I made a big batch of the sweet concoction with the intention of using some to make Ogura Bruxie which has red bean and sweet cream filling. The filling is sweet red beans which I folded with freshly whipped cream. Boil in clean water over medium high heat. Add more water until the beans soften then add sugar. Lower the heat and stir every so often to make sure it's not sticking at the bottom. It should be done when the beans are tender and it has thickened. That Red Velvet Waffles picture is mine! 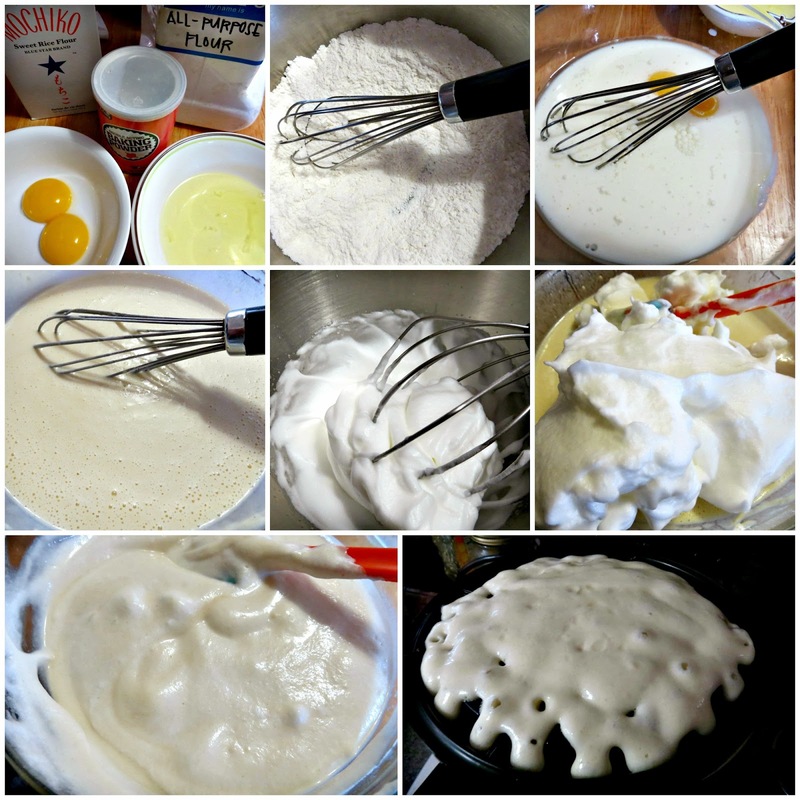 I still cook, bake and love this blog!